Welcome to Durban Face Painting. 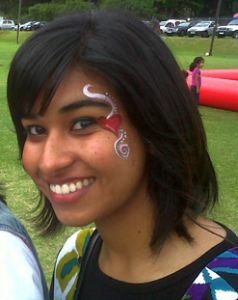 We specialize in face painting in and around the Durban area. 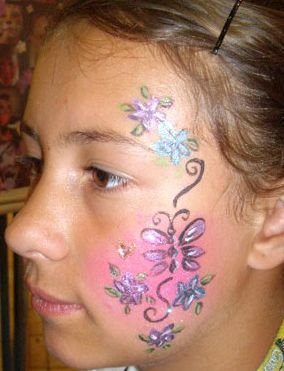 Our face painting is brilliant for parties, events and gigs. Some of our designs include fairy masks, Spider-man, leopard man, flower princess and Shark's rugby stripes. 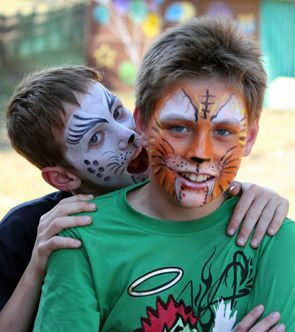 The face paint we use is of a very good and expensive quality - it lasts for a good couple of hours. It's completely water soluble and comes off with an easy wipe of the cloth. 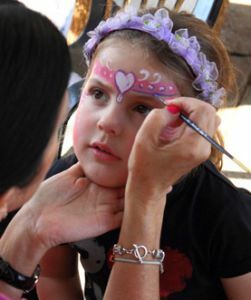 A clean sponge is used on each precious face during the face painting process. Hi there. I'm very interested in your products! Where are you situated? Would like to come purchase some things for a Halloween party I'm going to.